Child protective services were notified, and the teacher was barred from campus. camera (Google Maps) Maxdale Elementary School. A substitute teacher has been banned from the campus of an elementary school in Killeen, Texas, after she allegedly placed duct tape over the mouths of 10 students, according to the school district. The teacher was substituting a fifth-grade class at Maxdale Elementary School when the incident occurred. 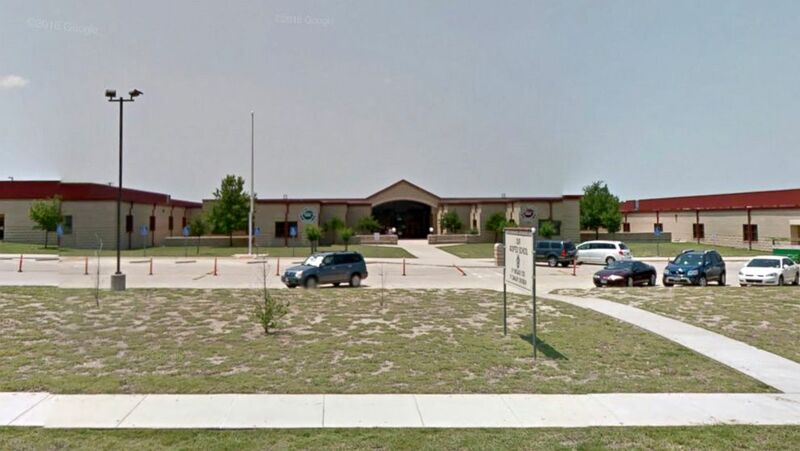 After the teacher placed the duct tape over the students' mouths, three additional students placed duct tape over their own mouths "as a result of the substitute teacher's actions," the Killeen Independent School District said in a statement. The incident lasted for several minutes, the school district said. After school officials learned of the incident, the students were taken to the school nurse for observation. All 13 students were deemed well enough to continue with their later classes. After one of the students ripped the duct tape off of his mouth, the teacher then replaced it with another strip, the student's mother, Adaeze Akudolu told the Killeen Daily Herald. The student said his mouth was duct-taped for at least 15 minutes, Akudolu said. The substitute teacher -- who was not identified -- was immediately removed from the classroom and barred from the school "as a result of this outrageous and unconscionable behavior," the school district said. She became a substitute teacher for the school district in January 2016, Terry Abbott, chief communications officer for the Killeen Independent School District, told ABC News. It is unclear if she had substituted at Maxdale Elementary School in the past, Abbott said. The school notified child protective services of the incident. School officials "don't know why she did it at this point," Abbott said. "The leadership of Maxdale Elementary School and the Killeen Independent School District are deeply saddened by this event," Abbott said. "The principal has informed parents, and has reassured parents that the staff will continue to work hard to make sure every child at the campus is absolutely safe every day."